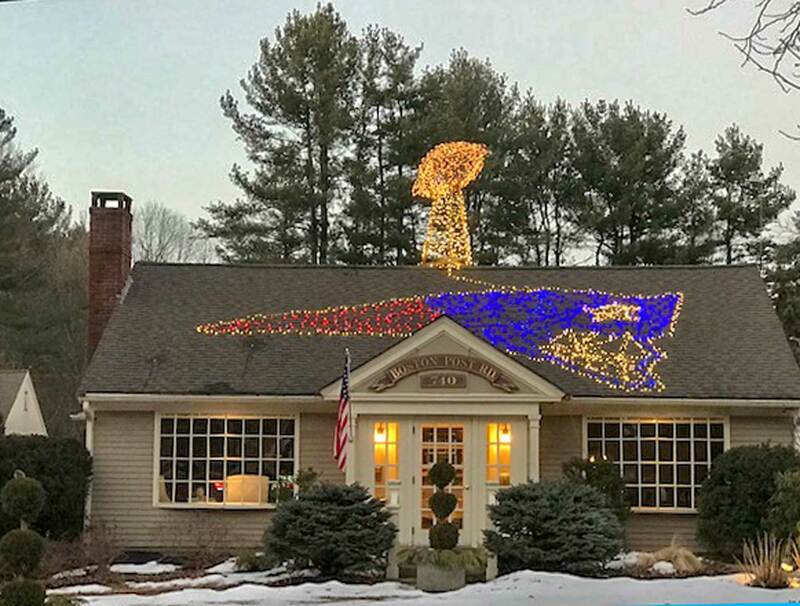 Remember Sudbury Design Group's creative show of spirit for the New England Patriots we showed you last Friday? Well, there has been an update. Apparently the high-end Boston-area landscape architects couldn't leave well enough alone (and can you blame them?) after the New England Patriots clinched the Super Bowl LII title Sunday night. They've punctuated the glowing Pats logo on their office building with an illuminated likeness of the Vince Lombardi Trophy that rises triumphantly from the rooftop. Don't you just love a parade?